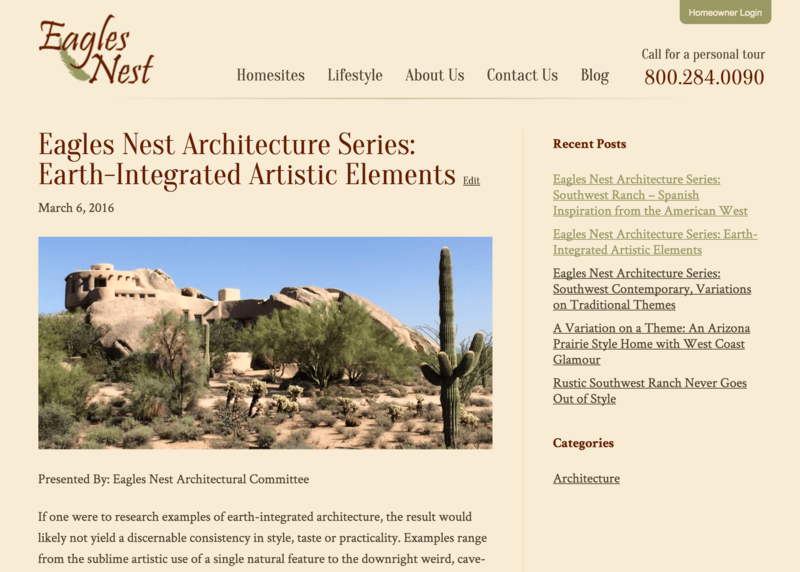 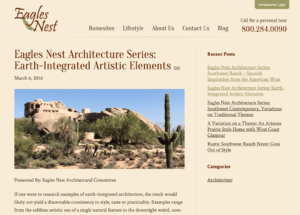 The breathtaking location of Eagles Nest custom home development in Fountain Hills, Arizona, demanded a website that could do it justice. Eight Trails delivered a site that is strong on panoramic visuals, to show off the unique terrain and soaring views found here in the foothills of the McDowell Mountains. 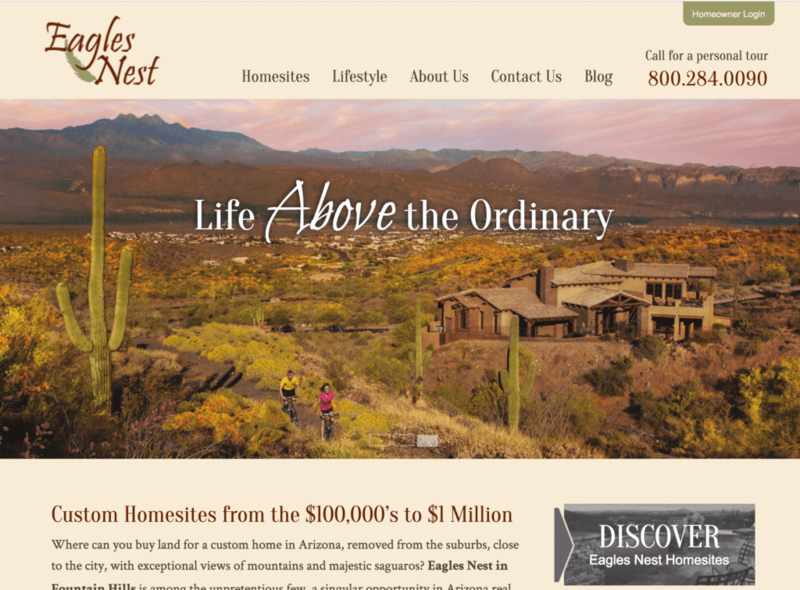 We tightened and focused the previous branding by emphasizing the location, price range, and the fact that Eagles Nest sells custom home lots, not finished homes. A sophisticated map integration allows our client to enter lot information into a simple text interface and publish the lot simultaneously to the map (with satellite image background to emphasize the unique terrain) and to the lot listing table. 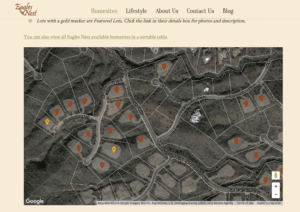 The map is zoomable and scrollable, features an image overlay of lot lines and development envelopes, and displays pins representing lots for sale and featured lots. 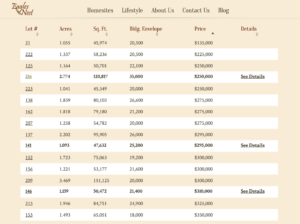 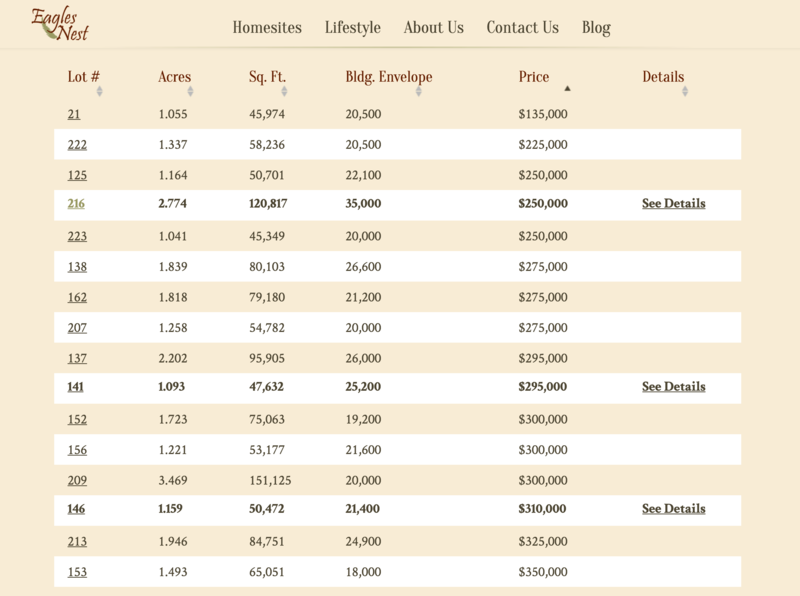 The listing table is sortable by heading, so prospective buyers can search by lot number, lot size, and development envelope size. 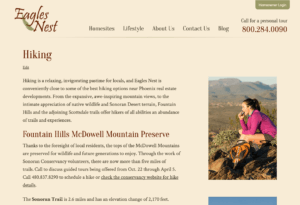 To find qualified and interested buyers and direct them to the new site, Eight Trails also provides SEO services as well as Google AdWords text ads, display ads, and retargeting.